Infinite Energy is proud to have been re-certified for having an ISO9001 Quality Management System, including updating to the new 2015 standard. As the world’s most widely recognised quality management standard, ISO 9001 outlines ways to achieve, as well as to benchmark consistent performance and service. 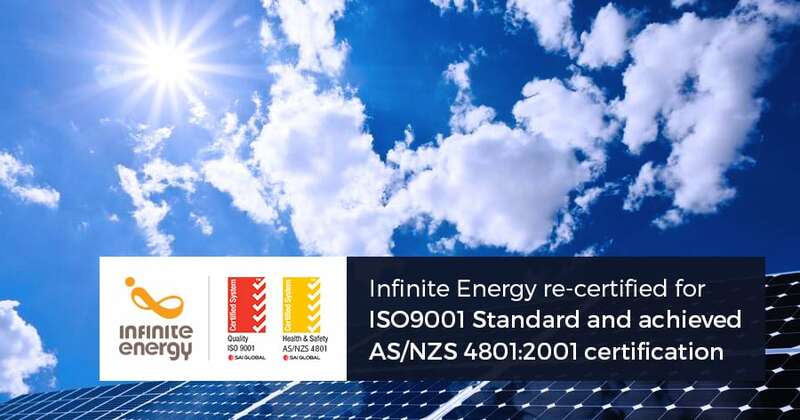 Infinite Energy has been awarded the ISO 9001:2015 standard for the scope, design, quoting, project management, supply and installation of commercial solar PV systems. Becoming re-certified highlights Infinite Energy’s commitment to implementing quality management requirements for all areas of our commercial solar business including; facilities, people, training, services and equipment. The motivation and implication of top management. The process approach and continual improvement. To keep our accreditation, we’re required to be audited annually. 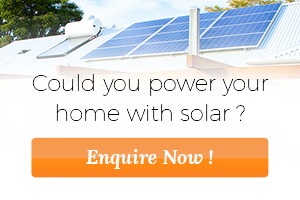 Infinite Energy’s commitment to high quality and service. That we are a consistent supplier in the commercial market. That we will deliver a quality outcome, every time. Having a documented quality management process helps Infinite Energy meet the needs of our clients at the highest of standards. Our commitment to quality means we continually monitor and manage a high level of service across all our operations. To ensure the protection of the health and safety of all employees, Infinite Energy has also achieved AS/NZS 4801:2001 certification for the operation of an Occupational Health & Safety Management System. Can demonstrate our commitment to OHS to others, via self-declaration or certification. Reducing workplace illness and injury is the primary aim of an effective OHS Management System. The implementation of such a system will help Infinite Energy complete all projects, including solar installations, to the highest safety standards, protecting our business and our clients. To learn more about why choosing a solar provider that has achieved ISO9001 standards is so important, contact us today.